Good January 2nd morning my friends. Manny V here. 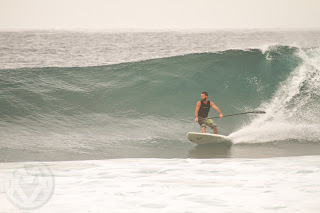 As John mentioned, I'm going to be popping in twice a month and give you the perspective from someone that is just starting the process of spending more time, money and research on stand up paddle surfing. I've been at it for over a year and a half now and I have to admit... just like you, I'm hooked. 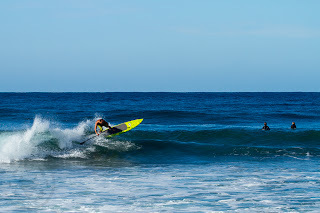 I'm a bodyboarder and photographer by trade but once I'm in the surf on a SUP board, it's like I've discovered the ultimate cheating machine. I can now catch waves further out than your average longboarder. What?! I play by the rules, of course. Etiquette and board/paddle control are crucial when in the surf with other peeps. Enough about me, let's talk Baja! This place is the best. If you truly want to find your own perfect peak or point break, it's here. You'll have to make the effort to find it but it is here. Again, keeping respect and etiquette at the top of the list, you'll have the best time of your life. 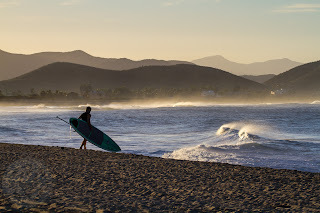 But like any wave rider that makes their way down Baja, we'll keep the surf break names out of the blog posts. 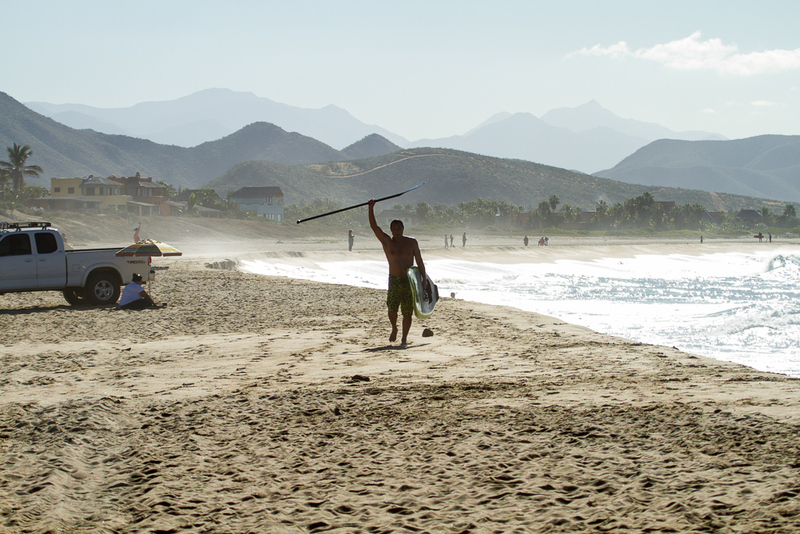 Each session must begin with a quick whip of your gear (wetsuit top, trunks or shirt) to evacuate the possible scorpions or spiders that may have taken refuge overnight. Then you're off. 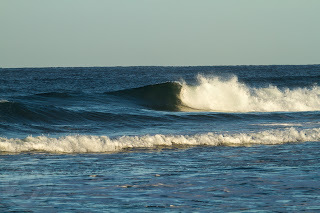 As usual, the best time of your surf is going to be at first light. Sleep in and you're going to have deal with the possible crowds at the more popular spots. I'm done talking for now. I'll let the photos and captions tell the rest of this post. Next stop... the east side of the peninsula. Once the light hits the water, it's already too late. 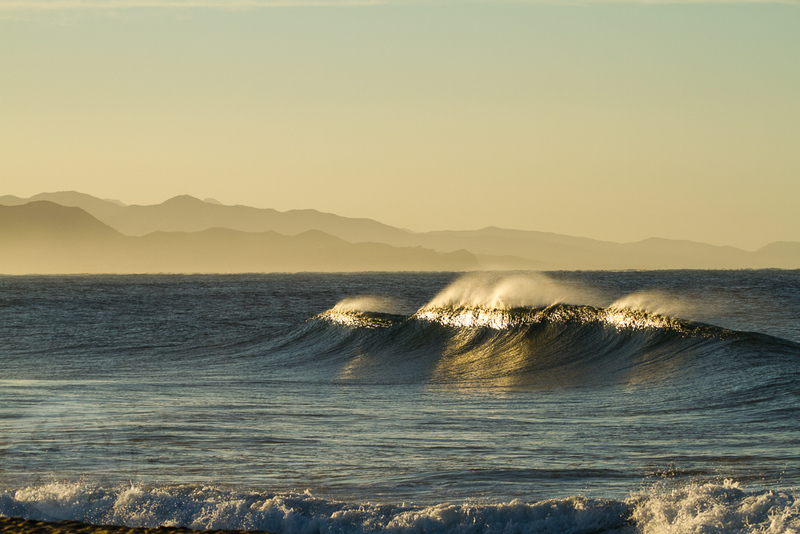 Get there early for some waves to yourself. Kiwi making his way into the warm waters of Baja. Believe it or not, we didn't ride this peak. It was by it's lonesome for about three hours. This is what we were after. Shallow cobble stone bottom made for perfect shapes. It's about two and a half feet deep here. Luckily, no dings this day for me. I waited for months to ride this wave. I was happy. Kiwi on a sickie. Pre-crowd. My goal is to never wear a full suit while SUPing. Suit-less in Baja. 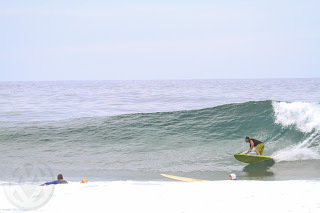 Friend of John's-welcome to the stoke of sup-been checking out your photos and adventures for a while now on this blog-sounds like you got Baja wired. 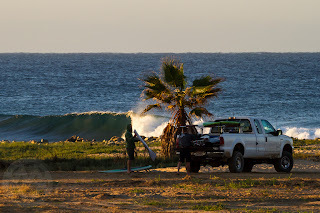 Farthest ive been down just driving is Cuatros Casas-then we ventured down to San Quintin and hit shipwrecks and a few others-fun area-just far enough out of the Ensenada chaos.Traveled north a ways towards Colonet but didnt find much surf there. Anyways keep up the good work and someday want to come down and hit all your fun spots. Most def Jon. 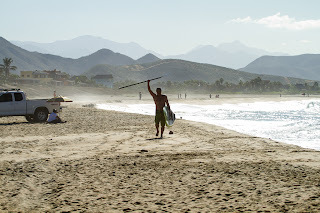 I want to make an effort to get my SUPmex tours going. 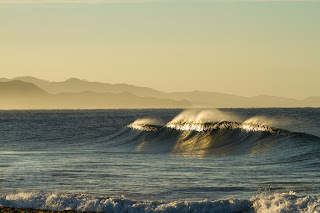 Northern Baja is my backyard so quick in-and-out SUP missions plus some more south sessions will be on tap in 2013. 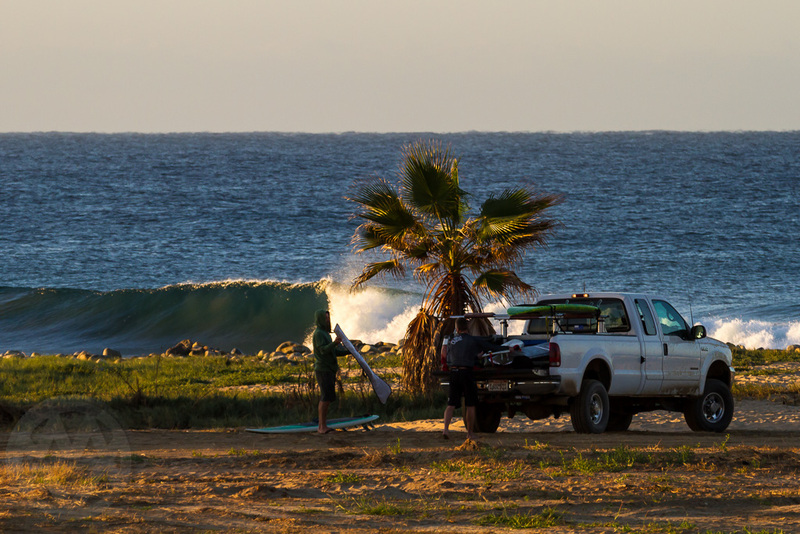 I'm down for any sessions in Baja when you're game.